These are exactly what they say - soft baked biscotti that are loaded with chocolate covered raisins, walnuts and dark chocolate chips. 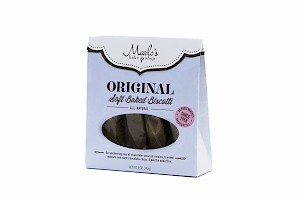 This is one biscotti you can enjoy without worrying if you'll break a tooth. The chocolate flavor is great but I wish there was a bit more of the walnut flavor coming through for balance. The flavor of the cookie itself is quite mild, which really helps the chocolate stand out. One cookie is 150 calories, 7 grams of fat and 10 grams of sugars.